A U.S. government short feature, prompted by a potentially grim shortage of twine during World War II. Messing up Pearl Harbor was one thing. 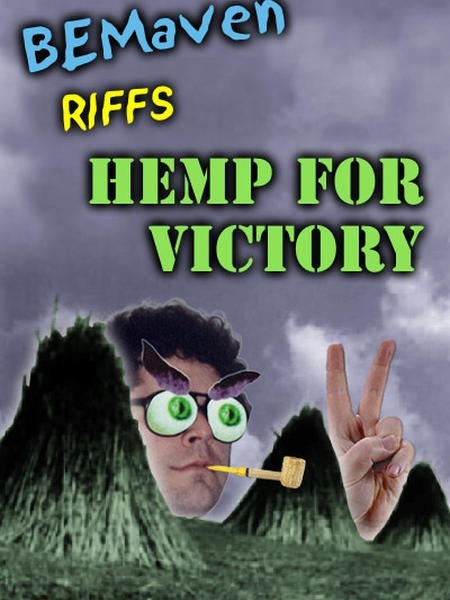 But Japanese Imperial forces compounded the outrage by cutting into America's wartime supply of imported Asian hemp. Desperate tots across the Heartland would be reduced to plucking out their hair to string kites. Hard-bitten cowboys would have to take up crochet in order to make lassos. Would Uncle Sam find himself at the end of his rope? Not while the United States Department of Agriculture remained vigilant. It released this pithy short in 1942 to galvanize patriotic hayseeds into growimg their own cannabis. 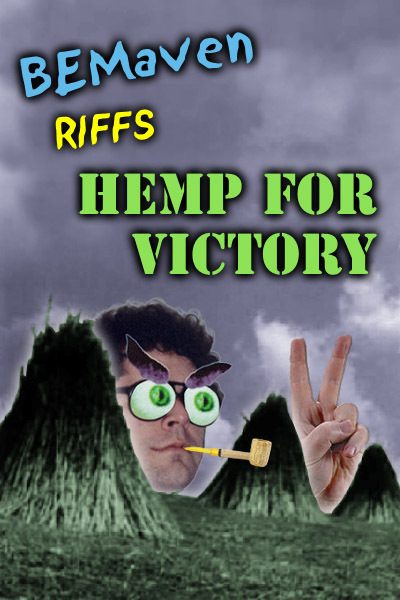 Given the persistence of hemp production in America today, the film makers may have done their job a little too well. With scant regard for personal safety and auteur theory, BEMaven supplements this short with his own verbal and visual commentary. Available as a complete video. 14 minutes running time.